Mark's Tickets is the best place to find tickets for New York Yankees fans. Just check this page for any new events or schedule updates throughout the year. We sell tickets to every New York Yankees game around the world. We know how passionate New York Yankees fans can be about baseball, so we make sure to have hundreds of tickets for every game available right up until it starts. For those looking for cheap New York Yankees tickets, we offer tickets starting at very low prices (many times below face value). 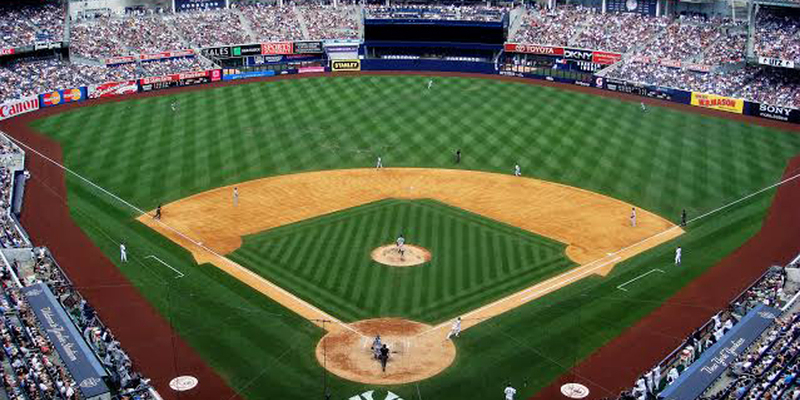 We offer tickets in most sections of every venue that you can see New York Yankees. Simply choose the city or venue that you are interested in below, and you will be able to see all of the available seats. Do not forget that Marks Tickets also specializes in sold out New York Yankees tickets. No longer will sold out shows prevent you from seeing New York Yankees. The New York Yankees are a professional baseball team that plays in the MLB. The Yankees play their home games at Yankee Stadium in New York City (Bronx), New York. With 162 games per year, and 81 being home games, The New York Yankees are an American professional baseball team based in The Bronx borough of New York City that competes in Major League Baseball (MLB) in the American League's (AL) East Division. One of the AL's eight charter franchises, the club was founded in Baltimore, Maryland in 1901 as the Baltimore Orioles. The team moved to New York City in 1903 and became the New York Highlanders, before taking the "Yankees" as their official name in 1913. The team is owned by Yankee Global Enterprises, an LLC controlled by the family of George Steinbrenner, who purchased the team in 1973. Former catcher Joe Girardi is the team's manager, and Brian Cashman is their general manager. Yankees home games were played at Yankee Stadium from 1923 to 1973 and from 1976 to 2008. In 2009, they moved into a new ballpark also called Yankee Stadium after the previous venue closed. The team is perennially among the leaders in MLB attendance—in 2011, the Yankees had the second-highest attendance. One of the most successful franchises in professional sports history, the Yankees have won 18 division titles, 40 AL pennants, and 27 World Series championships, all of which are MLB records. Forty-four Yankees players and 11 Yankees managers have been inducted into the Baseball Hall of Fame, including Babe Ruth, Lou Gehrig, Joe DiMaggio, Mickey Mantle, and Yogi Berra. In pursuit of winning championships, the franchise has utilized a large payroll to recruit talent, particularly under former owner George Steinbrenner. Due in part to their success, the Yankees have garnered enormous popularity worldwide and a dedicated fanbase, as well as widespread enmity from fans of other MLB teams; the Yankees' rivalry with the Boston Red Sox is one of the most well-known rivalries in sports.